Meggan and I are in Bali right now. We have been here before and have seen the beauty that makes Bali famous. Unfortunately, there are parts of Bali that can only be described as tourist slums. There are seemingly endless shops hawking Bintang “singlets” (as the Aussie tourists say), beer coozies, phallic bottle openers, statuettes and other exotic wares. We would prefer to be somewhere like Sidemen, but this is more centrally located to meet with some artisan groups we’re working with. Spending about a week here, walking around there are some retail diamonds in the rough. We did happen to find the ultimate store, well, for me at least. It’s an Australian company, Deus Ex Machina. 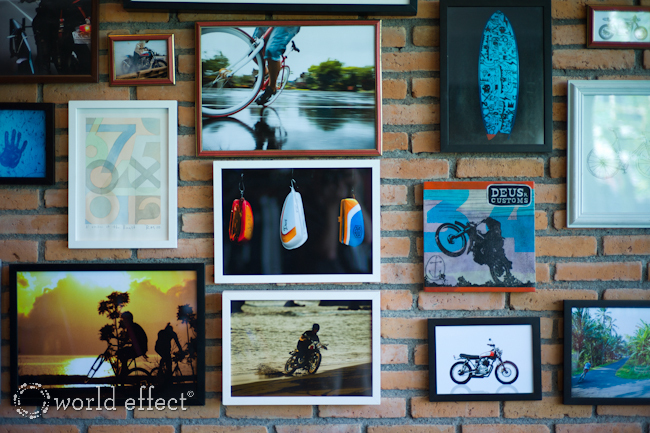 They have a work shop here as well as a small retail location they call “The House of Simple Pleasures.” They specialize in custom motorcycles, custom fixed gear bicycles, and custom surfboards. It also has a cafe stuck in the corner to kill more time to look at bike parts and other “simple pleasures”. Their design aesthetic is right up my alley. Simple and classic designs. 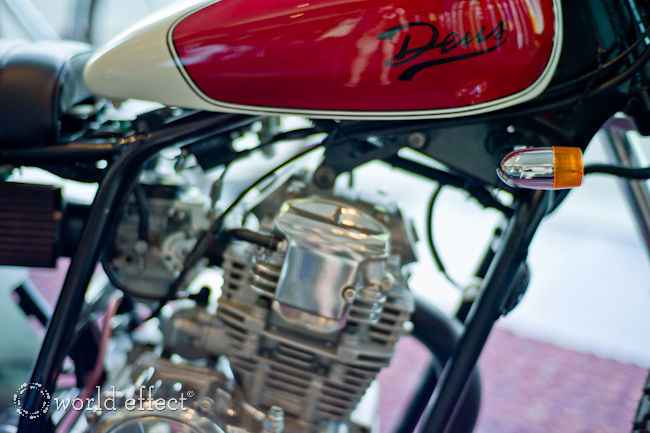 No crazy over the top choppers, just clean vintage looks. I was just looking on their website and have found about several bicycles and motorcycles that would look great at our house… Meggan? The manager said that they’re just about to open a location in Southern California, so be on the look at for that. What is this magical place?! 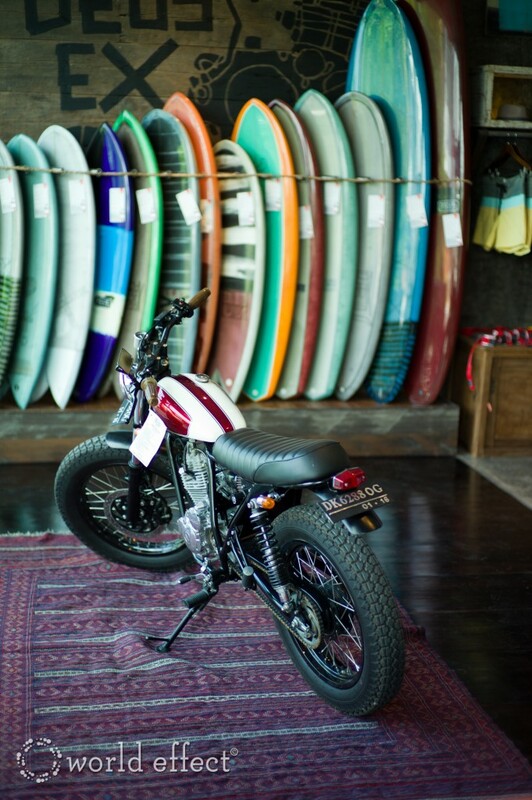 Custom surfboards motorcycles are you kidding! I guess I didn’t realize that there is much surfing in bali. This place looks amazing. I don’t know where they will be in SoCal, but I will be there when they open. 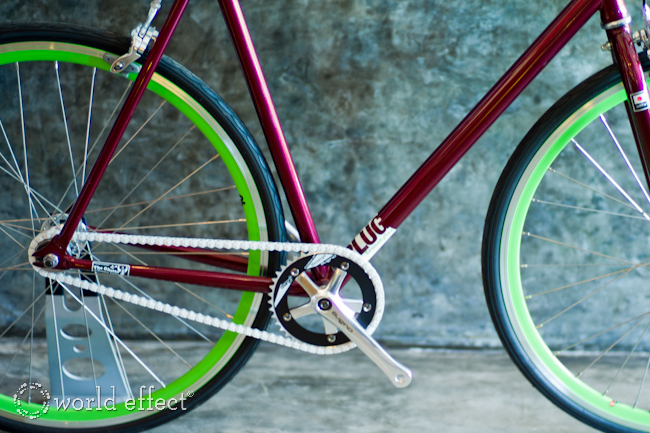 I want a custom cruiser that no one else will have. I also want the rug under that sweet chopper. Amazing diamond in the rough. I didn’t ask, it’s a long way home. Pretty though huh?